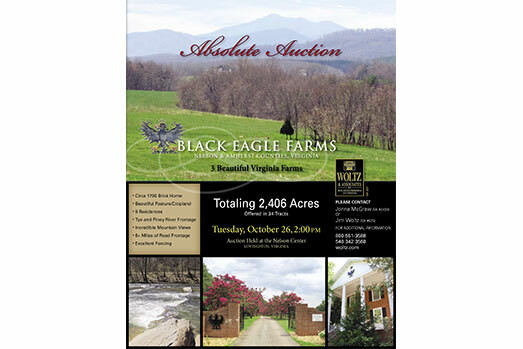 Absolute Auction: Black Eagle Farms – Woltz & Associates, Inc.
TRACT 1: 62 acres of mostly open hayfields and pasture on an elevated, level ridge with hardwood trees bordering the rolling terrain. This tract features great views of mountains in all directions and has state road frontage and frontage on the Tye River. 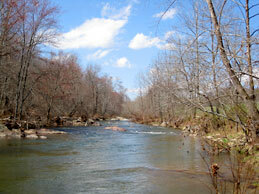 TRACT 2: 55 acres with state road frontage and long frontage on the scenic Piney River. There are level hayfields and elevated building sites with big views, as well as a good balance of woodland and open fields. This is an excellent recreational tract. TRACT 3: 41 acres with extensive frontage on Piney River, level hayfields and pasture. Long frontage on Rt. 665 and a great wooded ridge offer many building sites. TRACT 4: 139 acres. WOW! This is one of the nicest tracts. 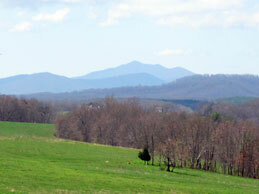 It has great elevated mountain views in all directions from the rolling hayfields. The parcel has a small house with support buildings, a good mixture of hardwood forest and open space. To top it off, there is an incredible building site overlooking the long frontage on the Tye River with mountains as its backdrop. TRACT 5: 95 acres which are almost entirely open and very farmable. This tract features good rolling hay and crop fields and long frontage on the Tye River. Improvements include fencing, cross-fencing and a barn. 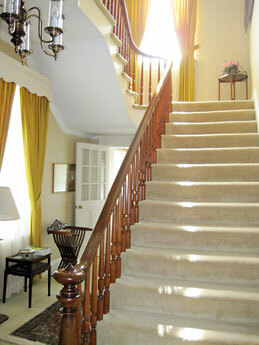 Great views are available from several locations. 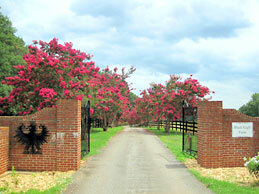 TRACT 6: 154 acre parcel that is a perfect farming tract. 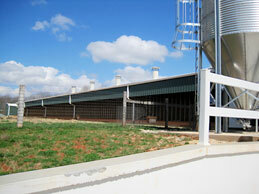 It has a large barn, cattle and livestock work pens, an 18,240± SF state-of-the-art pullet rearing house built in 2007. 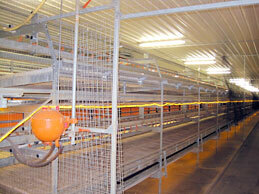 The rearing house has a capacity of 24,000 chicks. This tract has long frontage on the Tye River, crop fields and plenty of pasture with good water. TRACT 7: 137 acres with long frontage on the Tye River. 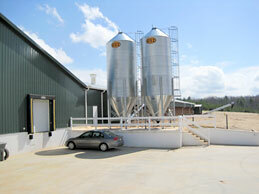 Privately located at the end of a state road is a 56,608± SF poultry laying/egg processing facility. The facility was constructed in 2007. The equipment will not convey with the real estate. TRACT 8: 165 acres which has been known as the “landing strip” because of its approximately 3,000 ft. long, level ridge top. The parcel has gently-sloped hay fields surrounded by nice hardwood forest on the downhill slopes to small spring-fed streams and the Tye River. 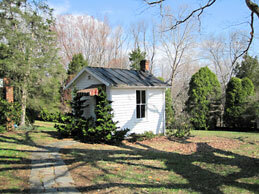 There is also a well-maintained 1½ story farmhouse located on the paved state road frontage. Some of the best mountain views are from this tract. home with lots of space to roam. TRACT 10: 43 acres with several great building sites. More than 2/3 of the land is planted in pines for future income and the rest is rolling pastureland. There is long state road frontage. TRACT 11: 11 acres offering wonderful investment potential. This parcel has two well-maintained houses that would be good rental properties – or live in one and rent the other. The land is primarily open pasture land. the state road. There is potential for future income from the planted pine plantation on a portion of this tract. TRACT 13: 63 acre private tract with frontage on Tye Brook Highway has rolling pasture/hayfields, spring-fed branches and wonderful building areas on the cleared ridge tops. Long views! TRACT 14: 82 acres. 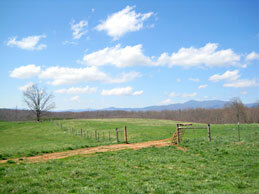 Another great tract with rolling fields, good fencing, ample water and beautiful views of the surrounding mountains. TRACT 15: 135 acres with a beautiful tree-lined drive leading to an impressive entrance gate giving way to the Circa 1790 brick home graced with large white columns, a pool house with a spacious indoor swimming pool and guest house, all encompassed by beautiful brick walls. 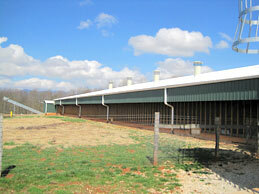 Numerous barns and support buildings are also a part of this tract. 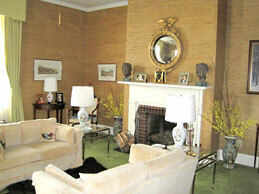 In addition, there is a lovely 3,500± sq. 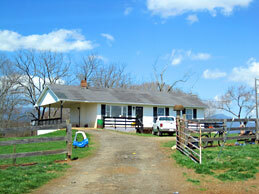 ft., brick ranch style home, a farm office and a 2,080± sq. ft. manager/caretaker house. Frontage on the Tye River. 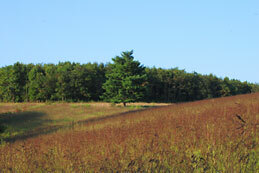 TRACT 16: 147 acres of wooded land and open land with ridge top offering outstanding views. 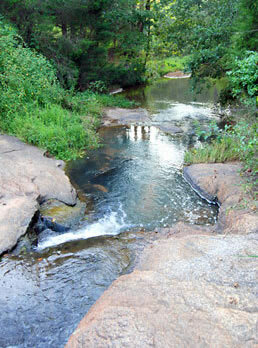 This tract has extensive Tye River frontage. 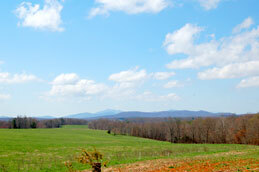 TRACT 17: 3 acres with frontage on Route 655, Arrington Road, has level fields and a great building site. TRACT 18: 12 acre parcel of open pastureland improved with a well-maintained brick ranch home that is perfectly situated for enjoying views of the surrounding mountains. 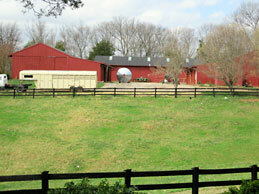 This parcel, which has frontage on Arrington Rd., also has a large barn. TRACT 19: 33 acre tract has frontage on Arrington Road and long frontage on Rt. 758, Cold Storage Lane. Most of the land is open and level. 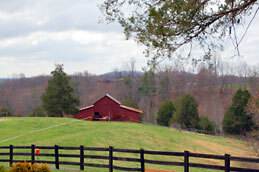 Improvements include several barns, out buildings and excellent fencing. TRACT 20: 28 acre parcel with long frontage on Cold Storage Lane has a good mixture of open grazing and wooded land. 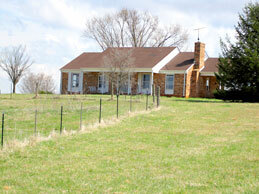 There are two small outbuildings and a spring-fed branch on this property. 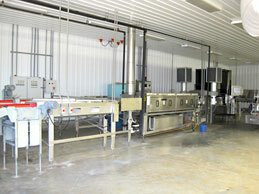 TRACT 21: 15 acres with long frontage on Cold Storage Lane has approximately 10 acres of open land. The remaining acreage is woodland. There is a spring-fed branch on this tract. TRACT 22: 9 acres of all open land with a beautiful knoll offers the perfect building site complete with outstanding views. This parcel fronts on Cold Storage Lane. TRACT 23: 68 acre tract with frontage on Arrington Road is primarily open crop land and pasture fields with patches of woodland. There is an incredible building site with beautiful views of the mountains from a predominant knoll located in the center of this tract. 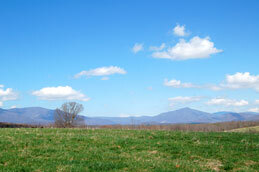 TRACT 24: 76 acres of gently rolling pasture offer numerous building sites. Approximately 8 acres of this tract are wooded. There is a spring-fed branch on this tract which fronts on Arrington Road. TRACT 25: 9 acres of all open land with frontage on Rt. 668, Diggs Mountain Road, and on Arrington Road. This is an exceptional tract with great views. 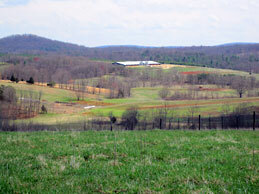 TRACT 26: 11 acre parcel of mostly open, level hay fields offers great building sites. It has frontage on Arrington Road and Centenary Drive. 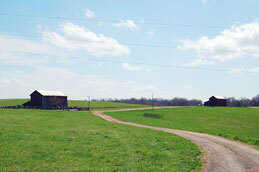 TRACT 27: 56 acres of mostly level to gently-sloping pasture/crop fields. Approximately 12 acres are wooded. There is a small spring-fed branch on this tract which has frontage on Arrington Road. TRACT 28: 13 acre parcel of mostly open land has level to gently-sloping topography making it a perfect building or farming tract. 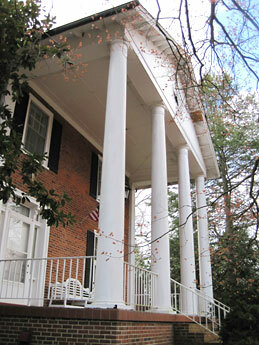 It has frontage on Arrington Road. TRACT 30: 35 acres with frontage on Arrington Road and Farrar Lane are mostly open, but this tract also has several acres of woodland. The land is level to gently sloping and offers nice views of the mountains. 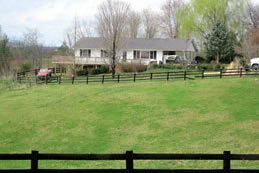 TRACT 31: 33 acres with frontage on Rt. 665 is approximately half open land and half wooded. 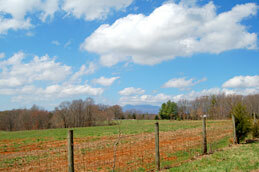 The parcel features a knoll with great views of the surrounding mountains. TRACT 32: 117 acre tract has long frontage on U.S. Route 29, southbound lane, with a crossover. The land is 2/3 open with the balance in mixed pine and hardwood forest. 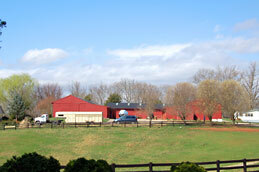 This property is improved by a barn and other outbuildings. A spring-fed branch meanders through this property which offers numerous desirable building sites, including private ones. This parcel would make an excellent stand-alone farm. TRACT 33: 183 acres with frontage on U.S. Route 29, southbound lane, with a crossover. 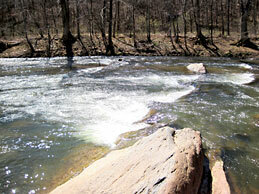 The tract has an equal mix of open pasture land and mixed hardwood/pine forest and a small spring-fed pond. There are great building sites. TRACT 34: 156 acres of all wooded land with potential for good, future income stream from growing timber. It is also a great hunting tract. The properties are located on or near U.S. Rt. 29 approximately 35 mi. south of Charlottesville and approximately 28 mi. 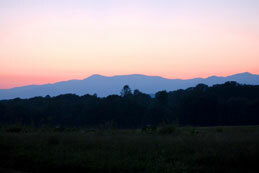 north of Lynchburg, Virginia. 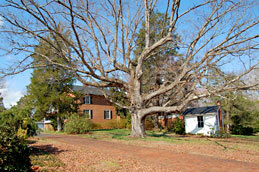 The three properties are located within two to four miles of one another. From Charlottesville: Go south on U.S. Rt. 29 for approximately 35 mi. to Coleen. Turn right onto Colleen Rd., Rt. 655, at the Tastee Freez. Follow Rt. 655 for approximately .7 mi. and then turn left onto Rt. 56/Rt. 158/Tye Brook Highway. Go 1.4 mi. and turn left on Martin Lane (across from Saunders Brothers Nursery & Farm Market). Tract 15 of Property 1 begins at the end of the road (.4 mi) at the brick columns. 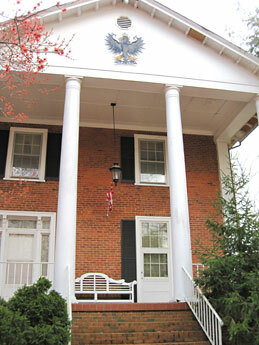 From Lynchburg: Go east on U.S. Rt. 460 toward Appomattox for approximately 9.7 miles and merge onto U.S. Rt. 29 toward Amherst/Charlottesville. Go approximately 25 mi. to Colleen. Turn left onto Colleen Rd., Rt. 655, at the Tastee Freez. Then follow directions above. From Charlottesville: Go south on U.S. Rt. 29 for approximately 35 mi. to Coleen. Turn left onto Arrington Rd., Rt. 655 across from Tastee Freez. Go 1.7 mi. to property on both sides of the road. From Lynchburg: Go east on U.S. Rt. 460 toward Appomattox for approximately 9.7 miles and merge onto U.S. Rt. 29 toward Amherst/Charlottesville. Go approximately 25 mi. to Colleen. Turn right onto Arrington Rd., Rt.655 across from Tastee Freez. Go 1.7 mi. to property on both sides of the road. From Charlottesville: Go south on U.S. Rt. 29 for approximately 37 mi. to Property 3 on right. From Lynchburg: Go east on U.S. Rt. 460 toward Appomattox for approximately 9.7 miles and merge onto U.S. Rt. 29 north toward Amherst/Charlottesville. Go approximately 23 mi. to Property 3 on left. From Property 1: Go north on U.S. Rt. 29 for approximately 5 mi. and make a U-turn at U.S. 29 Business onto Thomas Nelson Highway/U.S. Rt. 29 South/Rt. 56 West. Auction site is .4 mi. on the right. From Charlotteville: Go west on I-64 to exit 118A to merge on Rt. 29 South for approximately 29.6 miles. Auction site will be on the right. From U.S. Rt. 29 North, in Colleen, turn left onto Colleen Rd., Rt. 655, at the Tastee Freeze. Follow Rt. 655 for approximately .7 mi. and then turn left onto Rt. 56/Rt. 158/Tye Brook Highway. Go 1.4 mi. and turn left on Martin Lane (across from Saunders Brothers Nursery & Farm Market). Go .4 mi. and enter through gate at brick columns. Farm Credit is interested in discussing financing with potential bidders. Contact Ashlie Howell in Augusta Farm Credit Office at 540-248-0365. 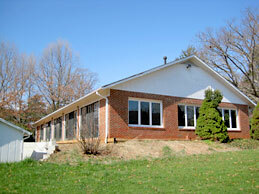 The office is located at 1557 Commerce Road, Suite 202, Verona, VA 24482. REGISTRATION: Bids will be accepted only from registered bidders. Registration begins at 1:00 PM. Please bring your driver’s license for identification. TERMS OF SALE: All tracts will be sold ABSOLUTE. All sales are final. All property is sold “AS IS, WHERE IS” and no warranty or representation, either expressed or implied, concerning the property is made by the Seller or the Auction Company. Each potential bidders is responsible for conducting his or her own independent inspections, investigations, inquiries and due diligence with respect to the property as they deem necessary or appropriate. all prior communications, verbal and written, concerning this sale. BIDDING: Registered bidders may bid on individual tracts of land, any combination of individual tracts and the property in its entirety. BUYER’S PREMIUM: A Buyer’s Premium will be charged. The Buyer’s Premium is five percent (5%) of the high bid amount. 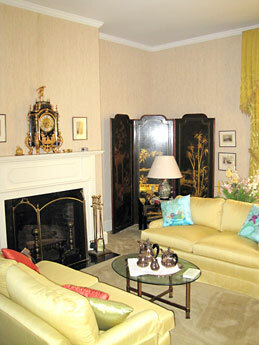 The Buyer’s Premium will be added to the high bid amount to determine the sale price. DEPOSIT ON REAL ESTATE: Successful bidders will be required to pay a deposit in the amount of ten percent (10%) of the sale price (high bid plus Buyer’s Premium) on day of sale. 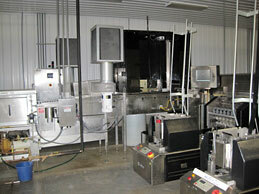 The deposit is payable by cash, cashier’s check, wire transfer, or pre-approved personal check made payable to Samuel I. White, PC. Personal checks will be approved if the Buyer presents, at time of regis1tration, a letter from its bank stating that the Buyer is a customer of the bank and that the account on which the check is drawn is in good standing. CLOSING DATE: The balance of the purchase price is due at settlement on or before November 25, 2010. This is a cash transaction and is not conditioned upon the bidder obtaining financing. TRANSFER OF TITLE: The Real Estate will be conveyed by special warranty deed free and clear of liens subject, however, to any rights of way, easements, covenants and restrictions of record. 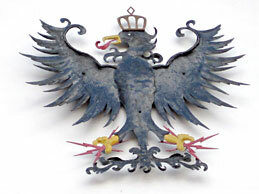 AGENCY: THE AUCTION COMPANY AND ITS REPRESENTATIVES REPRESENT THE SELLER, SAMUEL I. WHITE, PC, SUBSTITUTE TRUSTEE. BIDDER PACKETS: The Auction Company will have Preliminary Bidder Packets available on the inspection days and upon request. BOUNDARY LINES: Boundaries shown on aerial photographs and topographical maps which are provided by the Auction Company as a courtesy to bidders are approximate. Bidders should refer to the survey provided in the Bidder Packet for boundary locations. WEB SITE: Visit www.woltz.com for additional photographs and other information.